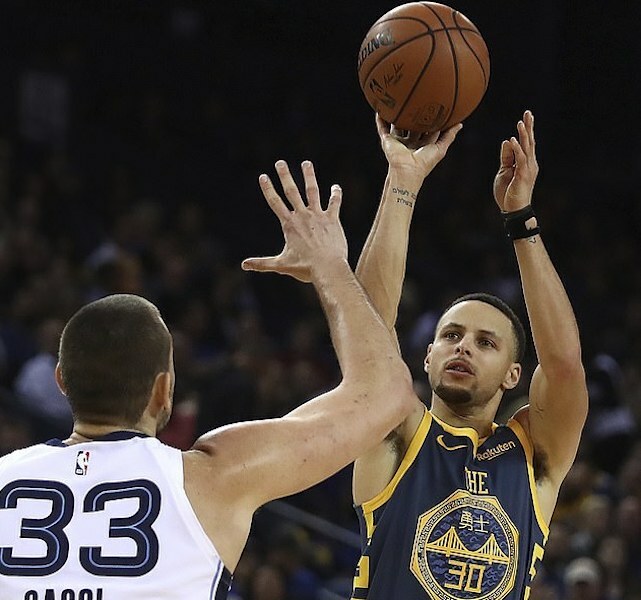 Curry became just the fifth player in Warriors history to score 15,000 points during the regular season – joining the company of Wilt Chamberlain, Rick Barry, Paul Arizin and Chris Mullin. Kevin Durant scored 23 points to go with five assists and passed Larry Bird (21,791) for 33rd place on the NBA’s all-time scoring list. Klay Thompson contributed 16 points with five rebounds. Golden State led by as many as 25 points in the second quarter in quickly turning the game into a rout. That allowed coach Steve Kerr to rest many of his regulars as the Warriors began a busy stretch with eight games before the end of the year, including Christmas night at home against LeBron James and the Lakers. Marc Gasol had 15 points, six rebounds and six assists for the Grizzlies, who lost their third straight and fifth in six. This marked Memphis’ final visit to Oracle Arena before the Warriors move to new Chase Center in San Francisco next season. Omri Casspi added a season-high 20 points against his former team. Jonas Jerebko made Golden State’s only two 3s in the opening quarter and finished 16 points off the bench. The Warriors were 17 of 18 from the free-throw line in the first half to 8 for 10 by Memphis, which trailed 61-38 at the break. Curry’s 3-pointer at the 7:37 mark of the second quarter gave him the 10 points he needed to reach the 15,000 club. Chamberlain leads the way with 17,783, followed by Barry (16,447), Arizin (16,266) and Mullin (16,235).